It's Monday and it's almost 9 AM but I'm still in my pjs. It's my first snow day of the year, which means no work (big smile). 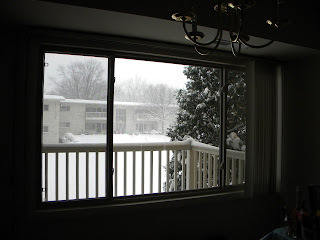 The snow blizzard has pretty much left the DC area buried and commute is a bit crazy. Yesterday on my way to check on Pinky, the freeway was littered with cars stuck on the snow or sliding uncontrollably. Days like these really require some good driving skills. 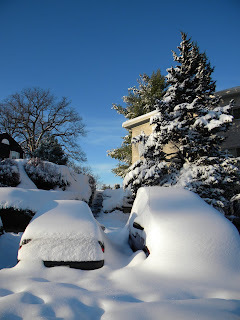 Below are photos I took during and after the snow storm just to show what we're going through at the moment. The neighborhood kids getting ready for some sledding and sliding. Winter wonderland view from my apartment window. 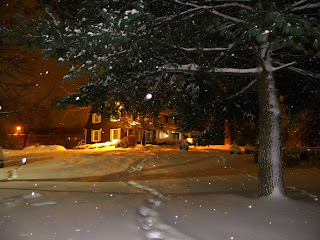 Going out for a night walk during the snow storm. 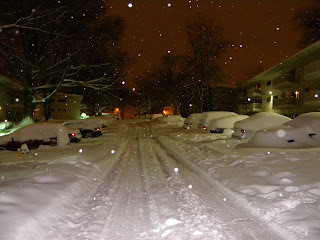 Unplowed street and the cars starting to get buried with snow. 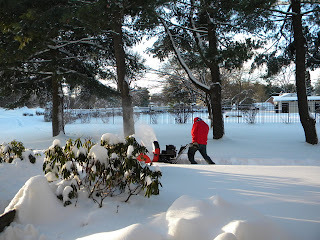 The day after - snow blowing! How about a natural holiday tree? Imagine trying to back out with this much snow. I was thinking about sliding down my neighbor's car. My faithful car ice scraper. Bought it for a dollar when I was living in New Jersey. 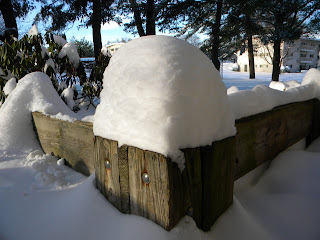 How many halo-halos can I make with this mound of snow? Since I'm not working today, I might go out for a little shopping later. I'll also spend the rest of the day wrapping some last minute gifts. How is everyone doing? I hope well and ready for Christmas. wow, indeed a snow day! yay!! hope you were able to make use of it -shopping, relaxing and doing something for the new home... have fun! i am so envious, both for having a wintry wonderland surrounding and for having a day off. nics pics kayni! 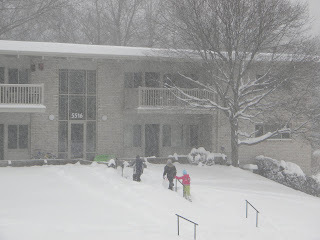 i got to see the "normal" snow situation! ganun palayun? my gosh! 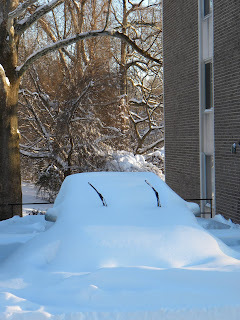 how hill you get your car out of that "heap" of snow? looks to me like a lot of work for you guys there! i love the picture of the tree! Toni, I didn't get to go out. I lost time organizing stuff and packing...sigh. Photo Cache, Happy holidays too =). Kg, It is a lot of work. 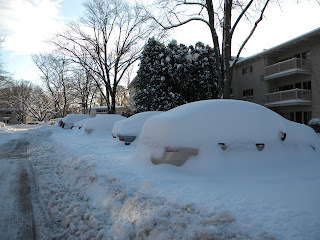 During the storm, I had to keep scraping my car so that snow wouldn't accumulate too much. uhmmm maybe billions of halohalo... it's nice to look at but hate the cold... ngarsh! wow! snow. paskong-pasko ang feeling ah. merry christmas kayni! Aline, It's awfully cold out here. Hi Kayni! Can I just say how beautiful it is there! Of course medyo dnagerous because it's terribly cold, but still, ang ganda pa rin, lalo na for me kasi hindi pa ko nakakakita ng snow. Ang ganda! Real snow. Parang scary maglakad no? the pictures look like Christmas cards. Ako din inggit! he he he Such lovely pics Kayni, the 3rd pic is like a painting to me, ganda! Rico, Yes, it's quite dangerous especially for driving, but I do agree - snow has a unique beauty. 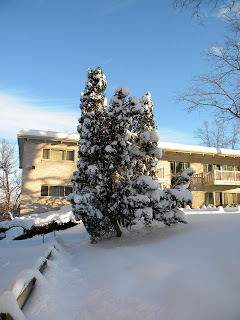 Wits, I love walking on the snow especially when it makes a crunching snow. Dyanie, Walang pasok kasi 2 feet yong snow, and the counties weren't able to clear up all the roads in time for workers to go to work. Giselle, Me too =). That's why even if it was snowing hard, I had to get out and take photos. Angeli, Thank you. Merry Christmas. Srivats, Happy holidays as well. Cpsanti, Merry Christmas. 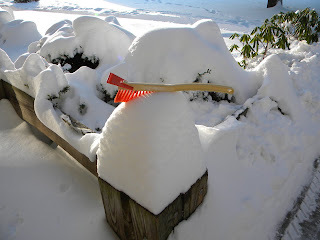 Halo-halo was the first thing that came into mind when I saw that heap of snow...lol. Love your shots! Merry Christmas!!! re: Andreas' birthday venue, we are making the most of Boxing Day rate. a chance of a lifetime hehe. Happy Christmas, Kayni! May you be pampered with lotsa presents! Love the photos. I feel like playing in the snow. Looks perfect for a snowball fight..
oh, just the White Christmas I imagined we'll have because of the so cold weather last week with a bit thick snow.. but it got warmer this week..
Merry christmas Kayni!!! Love the pics!!! !